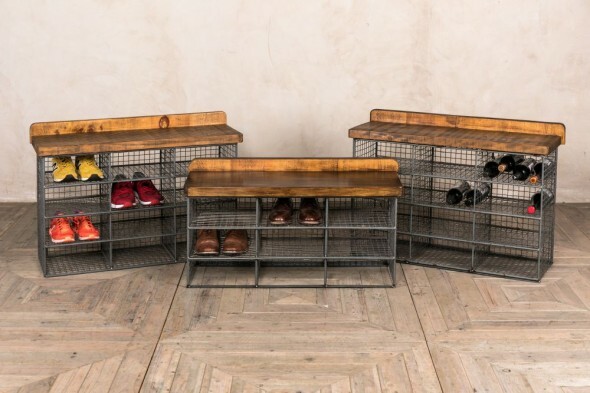 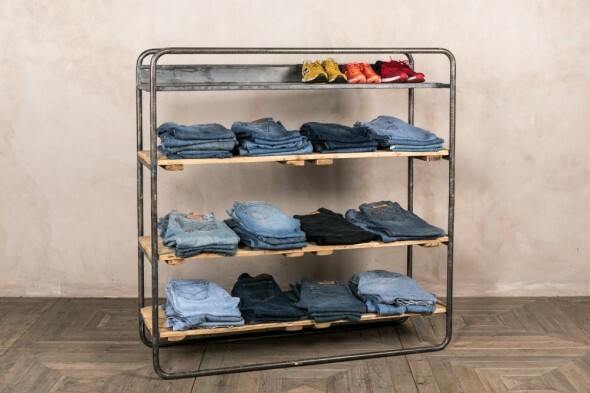 This industrial shoe storage bench is a fantastic item. 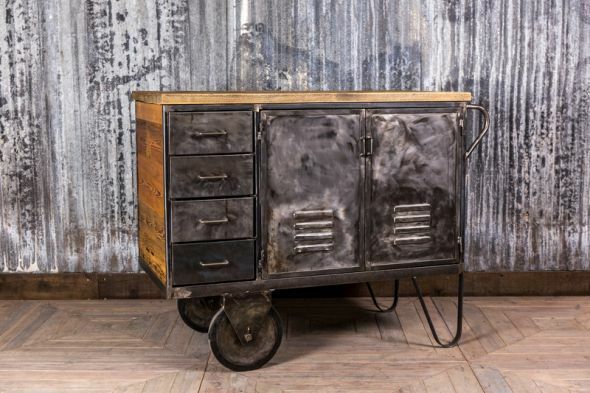 Combining industrial and vintage style, it would be a stand-out feature in any home. 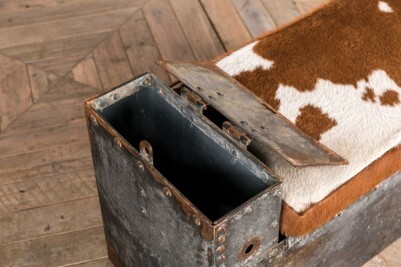 The bench would be ideally placed in a large porch or hallway. 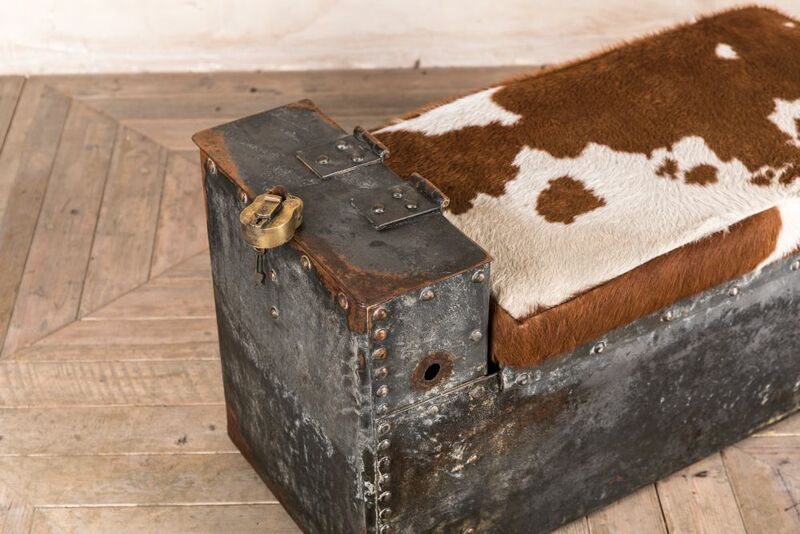 The seat lifts up to reveal storage for shoes underneath, whilst the padded seat is the perfect place to sit whilst putting shoes on. 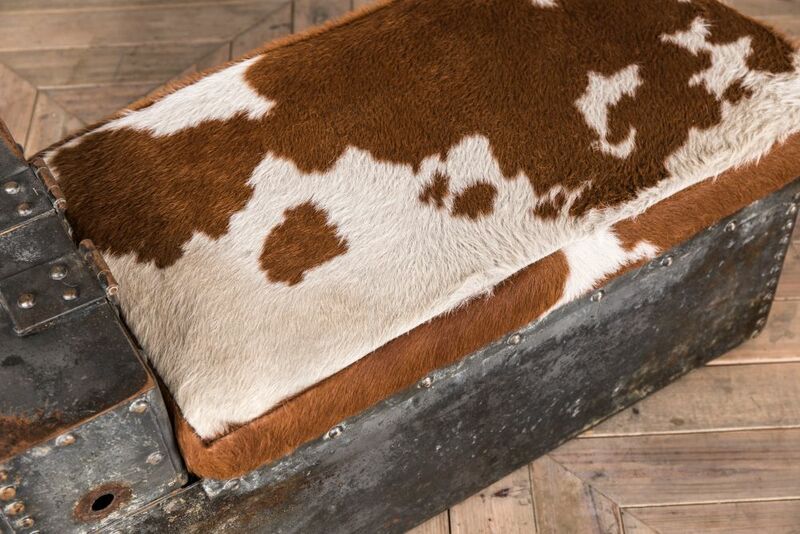 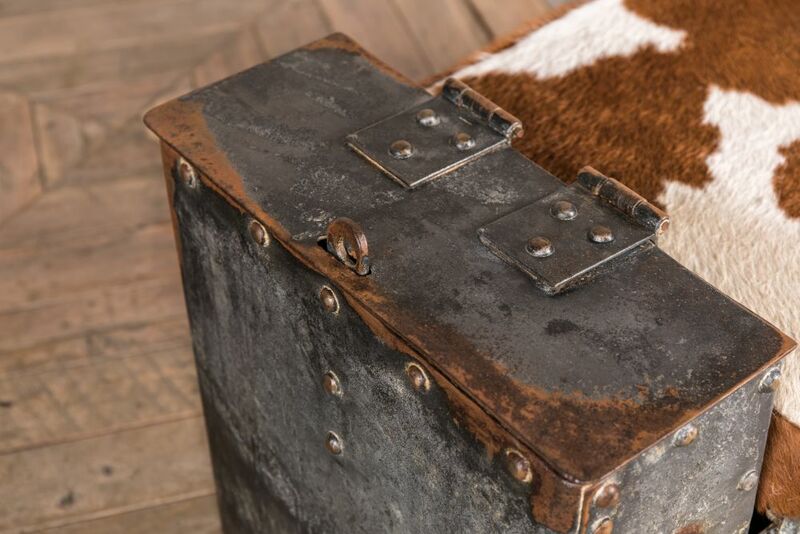 The padded seat is upholstered in cowhide, making this wonderful piece of furniture even more unusual. 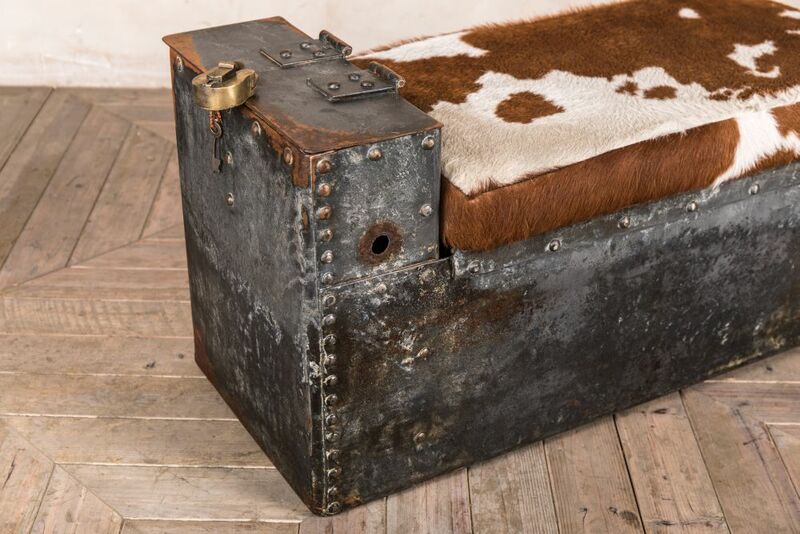 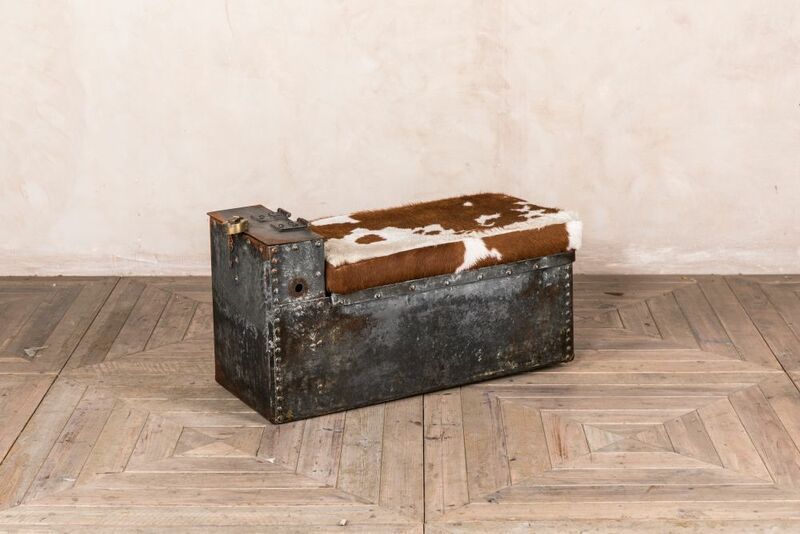 The bench also features a small storage box, ideal for keeping smaller items such as hats and gloves, which is locked with a vintage brass padlock. 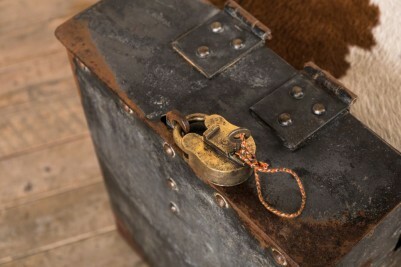 The key to the padlock is provided. 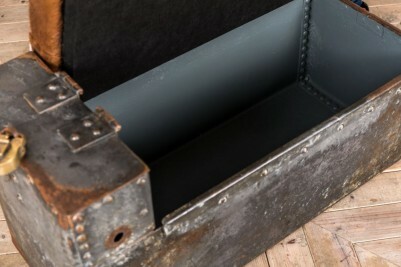 This industrial show storage bench is a vintage item and does have rust and other marks to the metal. We feel that the wear and tear to this item only enhances its industrial style and character.